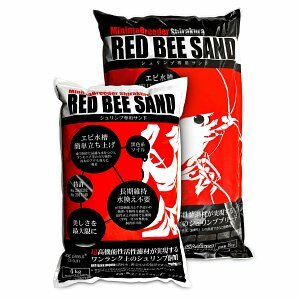 For keeping and breeding dwarf shrimps with special requirements like red bee shrimps (Caridina cf. cantonensis), a special soil substrate is the key to success. The active soil lowers the pH and stabilises it ? depending on the parameters of the water you use ? at around 5.5 to 6.5. Soil substrates make the water crystal-clear and are also beneficial for your plants, which will thank you with lush growth. 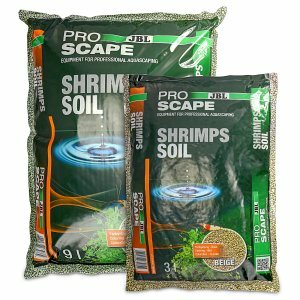 GlasGarten Environment Soil contains fulvic acids that improve the environmental conditions for shrimps, fish and plants in your tank. Many breeders swear by Aqua Design Amano's Amazonia substrate, too, which may have been designed for great plant growth first and foremost, however, which has proven to be a good soil for shrimp keeping, too. A so-called active substrate, also called active soil, is often used in aquascaping because it brings the tap water, which is quite hard in many parts of Germany, to values suitable for aquarium plants. Active soil removes the carbonate hardness from the water, making it softer and at the same time slightly acidic. It happens to be, that many dwarf shrimp species come from biotopes with soft to very soft water environments. These include in particular the pretty red/white and black/white bee shrimp, which are extremely popular in aquaristics and which also prefer water with a low to non-existent carbonate hardness in the aquarium. 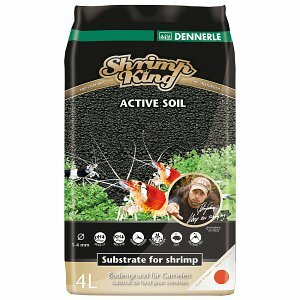 Active soil especially for plant aquariums, however, is almost always quite strongly enriched with nutrients and therefore needs a relatively long so-called cycling phase, during which you should not yet occupy the aquarium with shrimp. During the cycling phase, a plant soil can release very high amounts of ammonium into the water. This is usually not optimal for dwarf shrimp, as they can react very sensitively to degradation products from the nitrification process. 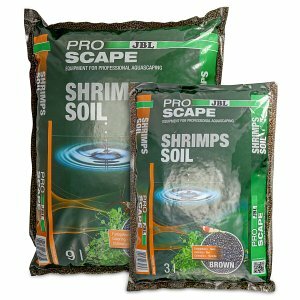 A special active substrate for shrimp like the Active Soil from Dennerle, the Shirakura Red Bee Sand, the ProScape ShrimpsSoil from JBL or the Shrimp Soil from Borneo Wild (you can find all these soils in our webshop) are less heavily fertilized. 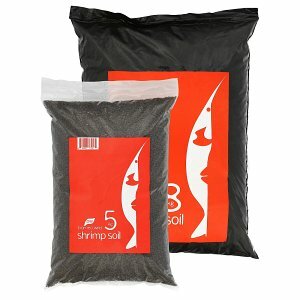 These so-called shrimpsoils are much better suited for keeping dwarf shrimp in aquariums than a conventional shrimpsoil for planted aquariums.